Wednesday April 19th 2017: On this cool early season evening, Terry Collins Mets (8-7) took on Pete Mackanin's Philadelphia Phillies (5-9). 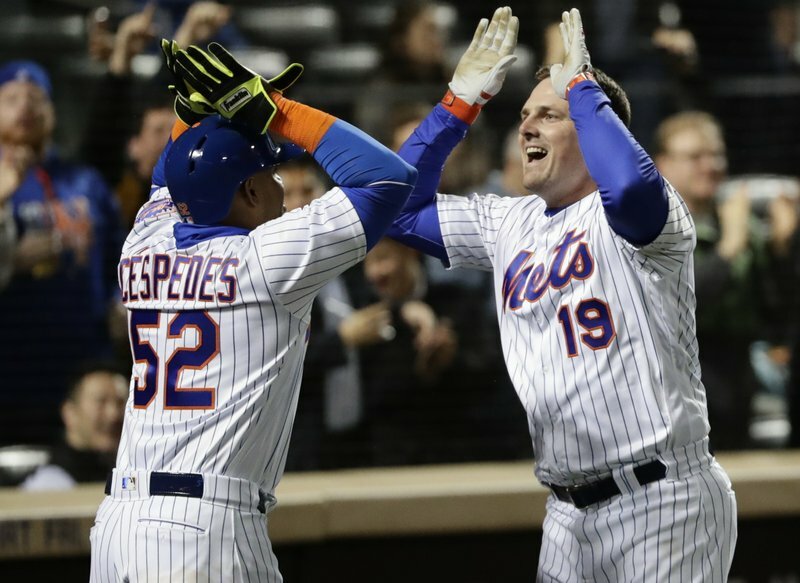 This early on the regning NL Wild Card winning Mets were still hopeful for the season. The starters were Robert Gsellman & Vince Velasquez. The Phillies took an early 2-0 lead, on a groundout & RBI single. 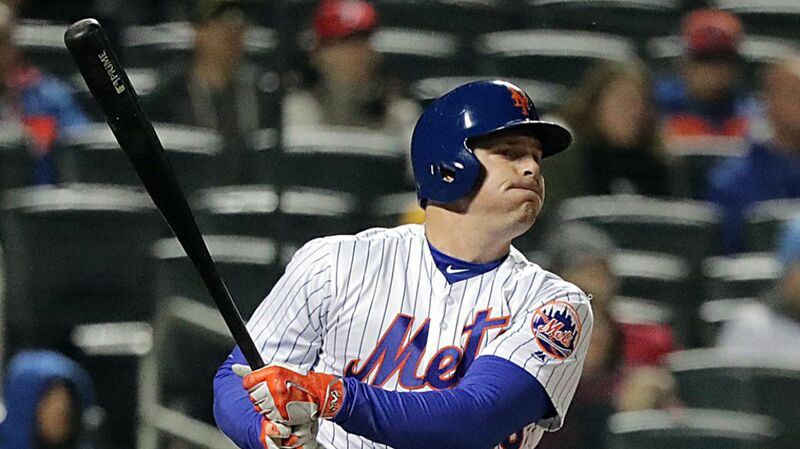 In the home 6th, with two outs, Asdrubal Cabrera singled & Yoenis Cespedes walked. 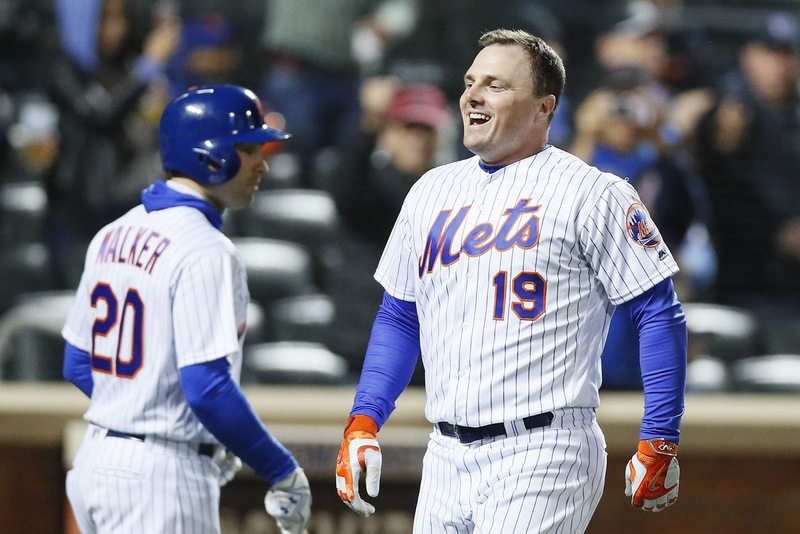 Jay Bruce stepped in & hit a three run HR putting the Mets ahead 3-2. Gsellman entered the 8th inning with that lead, then surrendered a lead off, ground rule double to Aaron Altherr. Jerry Blevins came in for relief & got the next two outs. Then Michael Saunders singled bringing in the tying run. In the home 8th, Cespedes led off with a single off reliever Edubray Ramos. Jay Bruce then stepped in & blasted a two run HR, his second of the game & his 6th HR in the young season, just 16 games in. The blast put the Mets ahead 5-3 and the extra run turned out to be good insurance, as Addison Reed allowed another run in the top of the 9th. The Mets won it 5-4.